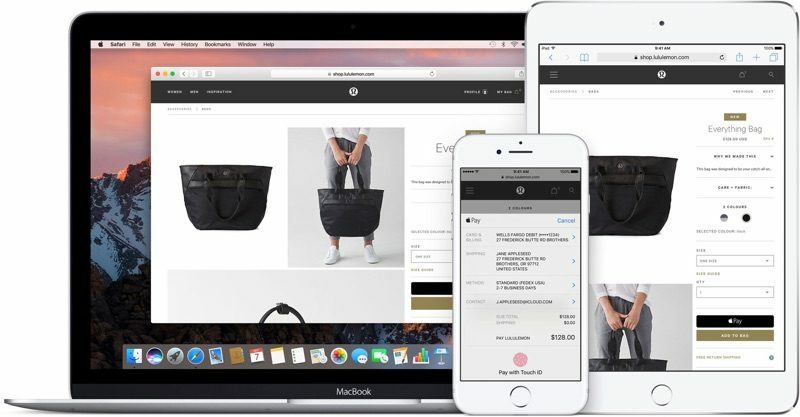 macOS Sierra and iOS 10 both include a new Continuity feature that allows Apple Pay to be used to make purchases on the web using Safari, giving Apple users an alternative to other web-based payment services like PayPal. 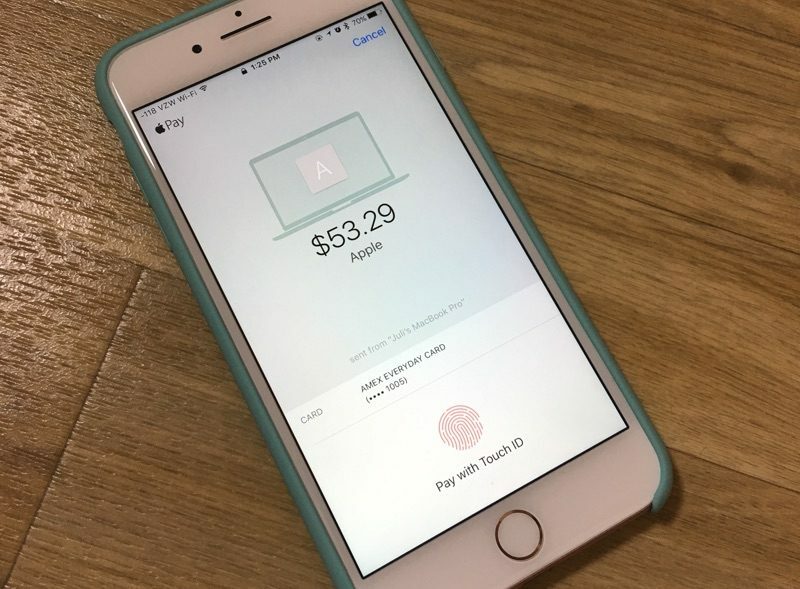 On Macs, Apple Pay for the web requires an iPhone with Touch ID and Apple Pay support or an Apple Watch, as payments are authenticated through the phone or watch. Apple Pay on the web requires merchants to adopt Apple Pay, so it isn't yet available everywhere, but support has started rolling out. Sites like Time Inc., Wayfair, and Apple's own online Apple Store have started accepting Apple Pay, and payment processors like Stripe, Big Commerce, Shopify, and Squarespace all offer support, so it may be almost everywhere in just a couple of months. Visit a website that supports Apple Pay on the web, like Apple.com. I'll be using Apple's online store as an example. Choose a product you want to purchase and click "Add to Bag." On Apple's site, you're automatically taken to the cart, where "Check out with Apple Pay" is an option. Choose it. 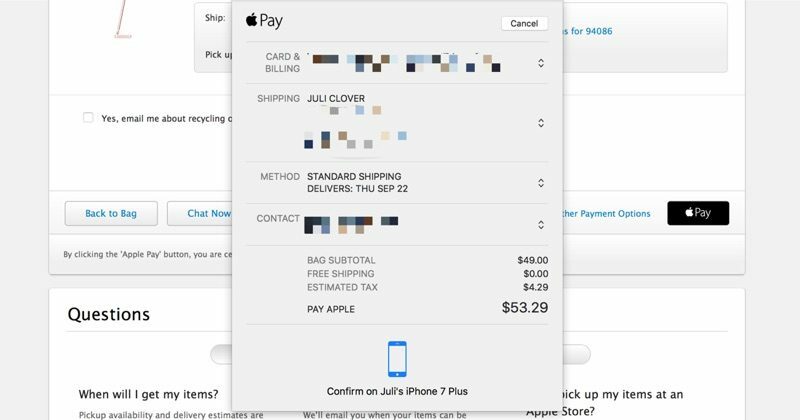 At the next checkout screen, choose delivery options and then click on the Apple Pay button. If you're wearing an authenticated Apple Watch, you'll be asked to verify the payment with the watch. Double tap on the side button (watchOS 3) to confirm and make the purchase. With no Apple Watch, a confirmation screen will pop up on a connected iPhone, locked or unlocked. It requires a fingerprint to be placed on the Touch ID home button to confirm the payment. Once the payment is confirmed on the Apple Watch or the iPhone, that's it. The purchase is made and on its way. When checking out on the web, all payment and shipping information is entered automatically, so you don't need to do anything but tap the confirm button to pay. It's quick, simple, fast, and safe. There is, however, a popup that will let you select the card you want to use, choose the shipping address, and more, if you need to make alterations. Apple Pay also requires an iPhone 6 or later running iOS 10 or an Apple Watch with watchOS 3, and it only works with the Safari browser. Apple Pay on the web is also available on iOS devices and will be available as long as one card has been added to the Wallet app on the iPhone. Not sure this is appealing to me. It seems like more work. Is it just because it's more secure? It also allows you to make purchases online without giving your credit card information. Crap. I'm one year too old for Apple Pay on the web. That's ok. I'd rather have my 17" MacBook Pro. I'm curious though, when the MacBook Pro will be released, if it'll have a fingerprint scanner, would you be able to add Apple Pay directly to macOS and pay without an iPhone? Alternatively, you may be able to use your phone's Apple Pay info but by authenticating through the MBP's touch ID. Oh trust me it just seems difficult. 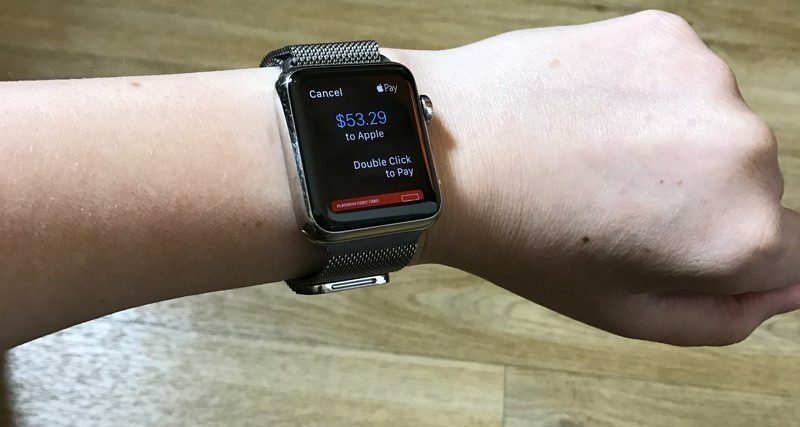 Click "pay by apple pay" and a prompt pops up on your watch or iPhone. It's definitely not difficult. By the looks of it, Apple's missed a trick in not supporting the iPhone 5s as a means for authenticating Apple Pay over the web, even if it lacks the NFC support for Apple Pay in person. So glad Apple Pay is available on the web now. Gonna make purchasing a lot easier! Me too with my 2011 mini. It's a shame Apple doesn't sell an equivalent machine now. I wonder if a USB Bluetooth dongle would suffice? Definitely. No one in the U.K. appears to take it yet but here's hoping. We just need a few more banks/countries on board now.